After your son or daughter departs for college, the last thing you want to get is a call or text to learn he or she is in pain. Dr. John Hall, Dr. James Miller, Dr. S. Lance West and Dr. Anthony Leonards and our team at Family Dentistree will tell you there aren’t many emergency situations that can be avoided when it comes to dental health, but one crisis that can easily be prevented before your teen heads hundreds of miles away for college is wisdom tooth extraction. If your child does elect to go through wisdom tooth extraction, we want to inform you that the first few days of recovery consist of careful measures to control bleeding and swelling, an adherence to a special soft diet, as well as a medication routine that must be followed as recommended by Dr. John Hall, Dr. James Miller, Dr. S. Lance West and Dr. Anthony Leonards after surgery. Dr. John Hall, Dr. James Miller, Dr. S. Lance West and Dr. Anthony Leonards and our team are dedicated to providing exceptional service before, during, and after your wisdom tooth procedure, so you can have peace of mind knowing that your child’s oral health is in good hands. We will do everything we can to minimize discomfort and help your child heal safely and quickly. Summer break is the perfect time to remove wisdom teeth so that your child can avoid the stressful scenario of experiencing this medical emergency far away from home. If you have any questions on wisdom teeth removal or to schedule an initial consultation with Dr. John Hall, Dr. James Miller, Dr. S. Lance West and Dr. Anthony Leonards, give us a call today! Oral Health Problems: An indicator of overall health problems? If you are like many people, you might think of your oral health as separate from your overall health. After all, most dental coverage plans are distinct from health care coverage. However, your oral health goes far beyond being able to chew nutritious and enjoyable foods. Oral health problems may be an indicator of a variety of other health problems. In the late 1980s, researchers noticed a trend among patients who had recently suffered from heart attacks. As the Journal of the American Dental Association reported, they observed that these patients were more likely to have dental caries or cavities, periodontitis or inflammation around the tooth, and other forms of gum disease. 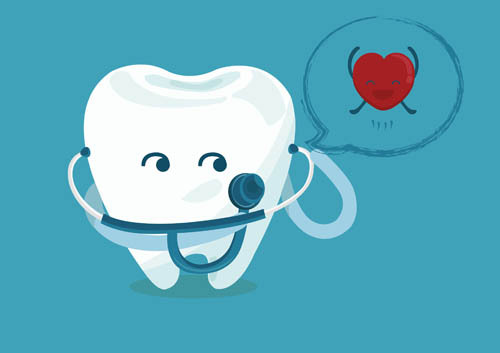 Later studies found similar results, and dentists and doctors now recognize poor oral health as a risk factor for a variety of heart conditions, such as heart attacks, atherosclerosis, and coronary heart disease. There are even more links between oral health problems and overall health problems. Some individuals do not find out that they have Type 2 diabetes until a dentist sees that they have periodontitis. If you have diabetes, worsening periodontitis can indicate that your diabetes is not under control. Poor oral health is also associated with rheumatoid arthritis. Furthermore, poor oral health puts you at higher risk for respiratory infections, such as pneumonia, because harmful pathogens can enter your body through your mouth. Keeping your teeth healthy remains important, especially as you grow older. Older adults are more prone to dental caries and other oral health problems, as well as to chronic diseases. While taking care of your oral health might not prevent a specific disease, a healthy mouth is a significant factor in your overall health. You can take care of your teeth by continuing to brush twice a day and floss every day. Avoid consuming too many sugary and starchy foods, and drink water after each meal or snack to rinse your teeth. See Dr. John Hall, Dr. James Miller, Dr. S. Lance West and Dr. Anthony Leonards for regular checkups, and contact Family Dentistree if you have any concerns about your teeth or gums. Bad breath: We’ve all dealt with it. You’ve been around people who have it and, like it or not, you have had it yourself. It can be embarrassing and uncomfortable, but how do you know if you have it? There is actually a simple test you can do to see if you have bad breath. Wash your hands well, then put your finger in your mouth, way in the back. Scrape a little saliva from the back of your tongue, and then dab it on the back of your hand. Wait for one minute, then hold your hand to your nose and sniff. Is it fresh as a daisy? Or do you need to keep reading and learn how to freshen your breath? There are several ways that bad breath starts. Knowing the causes of bad breath is a solid start toward the cure. The bacteria in your mouth: Bacteria is always in your mouth. It covers your gums, hides between your teeth, and hangs out on your tongue. As it multiplies, it produces toxins that cause the foul odor in your mouth. Your bad habits: If you smoke cigarettes, a pipe, or cigars, or chew tobacco, you are not only harming your mouth and body, you are creating some really smelly breath. Your tonsils: If you still have your tonsils, they can be the cause of bad breath. They are pitted, so smelly substances can collect in the pits and lead to bad breath. Stomach issues: A stomach virus, ulcer, GERD, and other stomach issues could be the cause of your bad breath. A low-carb diet can put your body into a state of ketosis, which causes very bad breath. The foods you eat: Garlic, onion, and other pungent foods will linger with you … on your breath. Achieving fresh breath isn’t difficult, but it does require a little work. 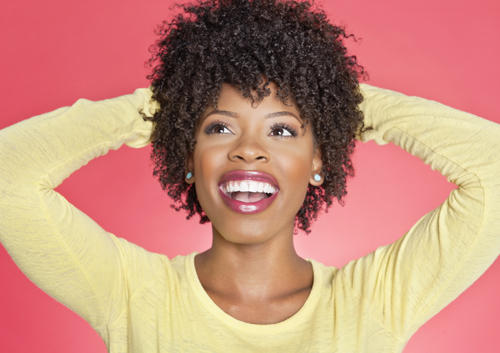 Try these tips for fresher breath and a healthier mouth. Brush your teeth after every meal. You can also pick up a tongue scraper to use a couple of times a day to remove any lingering bacteria on your tongue. Floss once a day to remove food particles between your teeth as well as plaque. Your mouth will thank you. Gargle with special mouthwash to banish bad breath. The oxygen in it will kill the bacteria in your mouth that is causing your bad breath, and leave you fresh as a daisy! Drink water to avoid dry mouth, which is a common cause of bad breath. Ease your tummy troubles with antacids and other remedies. Ginger tea is a great tummy tamer. Chew gum that contains xylitol. Saliva keeps your mouth moist, and chewing gum makes you salivate. Bye bye, bad breath! Eat yogurt. It contains “good” bacteria that helps balance your gut and gives you a healthier mouth. Soothe your sinuses. Sinus infections can cause you to have bad breath. Actually, it is the post-nasal drip that causes the foul odor. Cure the infection and your breath will improve. Avoid all tobacco products (cigarettes, pipes, cigars, chewing tobacco, and snuff). Eat a healthy diet of fresh fruits and vegetables, lean meats, and whole grains. And don't forget! Get regular dental checkups at Family Dentistree. Every hour of every day, someone in North America dies of oral cancer, the sixth most common diagnosed form of the disease. The five-year survival rate is only 50 percent, and oral cancer is one of the few cancers whose survival rate has not improved. This grim statistic may make you think that oral cancer is a particularly deadly form, when in fact the high death rate has more to do with how late in its development oral cancer is detected. Routine screening is the key to early detection and survival, and in our continuing efforts to provide the most advanced technology and highest quality care available to our patients at Family Dentistree, we proudly screen our patients for oral cancer. So, who’s at risk for oral cancer? Anyone can develop oral cancer, but some people are at a higher risk. These high-risk groups include those over the age of 50 and men, who are twice as likely as women to develop the disease. Smoking or chewing smokeless tobacco products, consuming alcohol excessively, and constant exposure to the sun at a young age are also risk factors. How is oral cancer detected? Dr. John Hall, Dr. James Miller, Dr. S. Lance West and Dr. Anthony Leonards and our team at Family Dentistree suggest our patients perform a monthly self-examination to check for unusual red or white patches, sores, lumps, or thickenings anywhere inside the mouth, on the lips, or in the throat and neck area. We encourage you to give us a call at our convenient Sarasota, FL office if you find any of these symptoms or if you have trouble swallowing or experience a chronic sore throat and hoarseness. During your visit, Dr. John Hall, Dr. James Miller, Dr. S. Lance West and Dr. Anthony Leonards will inspect the oral tissues and neck to determine if abnormalities are present. What happens if oral cancer is detected? If we discover abnormal tissues during your visit, a biopsy will be required. The results from the biopsy will be sent to a laboratory to determine if the cells are cancerous or precancerous. If a diagnosis of cancer is made, surgery, as well as treatment such as chemotherapy or radiation may be necessary. Dr. John Hall, Dr. James Miller, Dr. S. Lance West and Dr. Anthony Leonards and our team will work closely with your oncologist and other members of your medical team to ensure that you achieve the best possible oral health care both during and after treatment. Finding out you have oral cancer can be devastating news. If you are concerned that you might be at risk for developing oral cancer, talk to us about screenings and other things you can do to reduce your risk. Through a routine visual inspection, Dr. John Hall, Dr. James Miller, Dr. S. Lance West and Dr. Anthony Leonards and our team at Family Dentistree can often detect premalignant abnormalities and cancer at an early stage when treatment is both less expensive and more successful, and can potentially save your life. Ask us about a screening during your next visit!